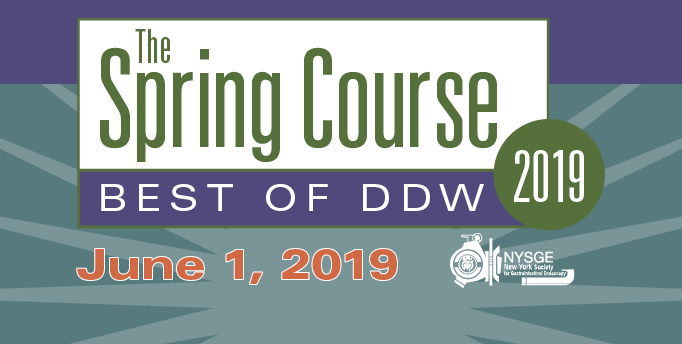 The Spring Course is devoted to a review of the most compelling topics in gastroenterology, endoscopy, and liver disease as presented during Digestive Disease Week®, June 2-5, 2018. At this event, the most significant data from national and international research efforts is presented, affording attendees a first look at critically important information on new drugs, the etiology and pathophysiology of disease states, the epidemiology of diseases, the medical, surgical and endoscopic treatment of disease, and the social impact of disease states in the fields of gastroenterology, hepatology, and GI surgery. The program includes a video forum of new endoscopic techniques as well as a summary of the major topics presented at the most important academic forum in gastroenterology, making for an invaluable educational experience for those who were unable to attend Digestive Disease Week® and an excellent summary review for those who were there. Albert Einstein College of Medicine designates this live activity for a maximum of 5.0 AMA PRA Category 1 CreditsTM. Physicians should claim only the credit commensurate with the extent of their participation in the activity. This continuing nursing education activity has been submitted to the Northeast Multi-State Division, an accredited approver by the American Nurses Credentialing Center’s Commission on Accreditation. Maine, New Hampshire, New York, Rhode Island, Vermont Nurses Associations are members of the Northeast Multi-State Division of the American Nurses Association.